If your kids start eating fruits for dessert, they would be much healthier! Fruits, with their natural sweetness, low calorie content, and ample nutrition make for a perfect dessert option for your kids. 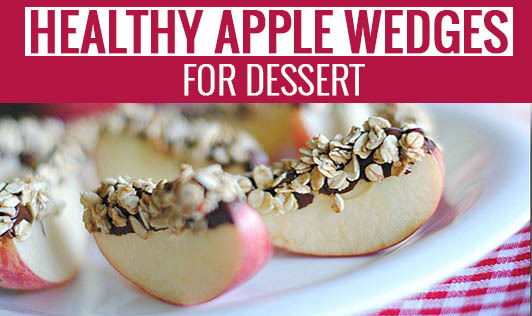 So what are you waiting for, add this delicious recipe to your dessert menu today! • Wash the apple thoroughly. • Cut it into six pieces. • Take a bowl of cold water and add a few drops of lime juice to it. • Soak the sliced apple pieces in it for a few minutes. • Dry the pieces thoroughly before applying the toppings. • Now coat the pieces with cream cheese/melted chocolate/peanut butter. • Top each slice with dried raisins/chopped nuts/coconut shreds/roasted peanuts etc.